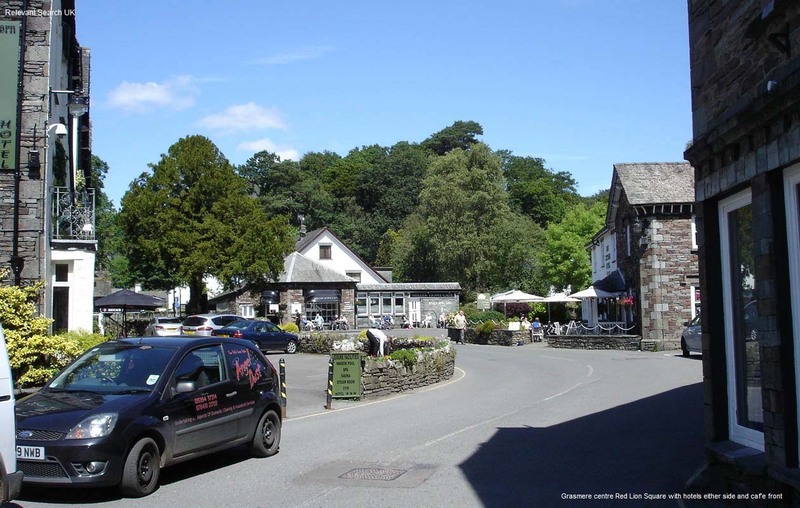 Grasmere in the Lake District of England Attractions, Photos and Accommodation. Grasmere is an extremely popular small village in the centre of the Lake District National Park in England, about 4 miles north of Lake Windermere, 12 miles south of Keswick, and 24 miles west of the M6. Grasmere Road Map . One of the main attractions is the Wordsworth Museum that gives information on William Wordsworth (7th April 1770 - 23rd April 1850) who was a famous English Romantic poet. Dove Cottage was Wordsworth's home in Grasmere until 1808, a time that many claim he produced his finest works. The church in Grasmere centre is where Wordsworth and his wife are buried. Another top attraction is the walking, with the flat route around the lake having stunning views, and the hill walking is as popular as any place in the Lake District. The 1,293ft Silver How sits high above the west side of Grasmere, with great views over the village and Grasmere Lake. Silver How also gives great views west along the Great Langdale valley, with its mountains up to 2,300ft. On the east side of the village is the popular hike to the 2,007ft Heron Pike, 2,523ft Great Rig, and 2,864ft Fairfield. There is a large car park as you enter Grasmere from the south. This car park is often full with cars and the many tourist coaches that visit the village. There is another car park further on close to the lake, and another at the north entrance to the village. 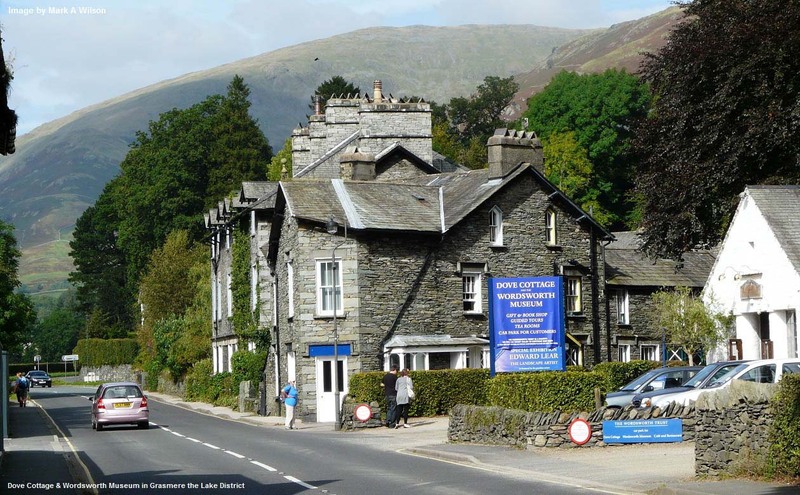 Grasmere itself has 10 hotels, and many more close to the village, most with scenic gardens that welcome non residents for drinks and meals. There are also a few cafe's and restaurants about the village, as well as interesting shops, amazing for such a small village. View a Click On Map for the Lake District with attractions and mountains. Grand At Grasmere Hotel with views over the lake large.